Nothing is sweeter than a new dad holding their baby's diaper bag and carrying him or her! This shirt is for all the awesome dads out there who parent or babysit their babies! Great Father's Day gift idea for new or expecting Dads! Nothing is sweeter than a new dad holding their baby's diaper bag and carrying him or her! This shirt is for all the awesome dads out there who parent or babysit their babies! 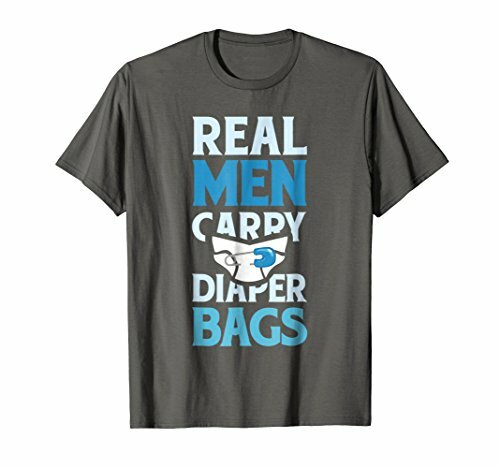 Great Father's Day gift idea for new or expecting Dads in 2018! If you have any questions about this product by New Dad Tee Shirt Co, contact us by completing and submitting the form below. If you are looking for a specif part number, please include it with your message.